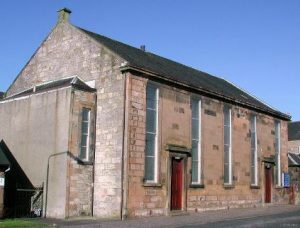 Welcome to Barrhead United Reformed Church! We welcome you whether you can sing like Pavarotti or just growl quietly to yourself. You’re welcome here if you’re ‘just browsing,’ just woken up or just got out of prison. We don’t care if you’re more Christian than the Moderator of the Church of Scotland, or haven’t been to church since Christmas ten years ago. We welcome those who are inked, pierced, both or neither. We offer a special welcome to those who could use a prayer right now, had religion shoved down their throat as kids or got lost and wound up here by mistake. We welcome seekers, doubters… and you! We meet every Sunday at 11.30am and all are welcome. We a lively, caring, congregation learning to love and grow closer to God and each other. Please explore this site and get in touch if you’d like to know more – or better still come along! We can be found at 2 Arthurlie Street, Barrhead, G78 2RB . There is ample parking around the church on the street on Sundays or, for two hours, in the shoppers’ car park opposite. The building is wheelchair friendly – but some assistance will be needed in getting in which we gladly offer. We have an induction loop fitted for the hard of hearing.